nova68 wise winter owls ornaments. 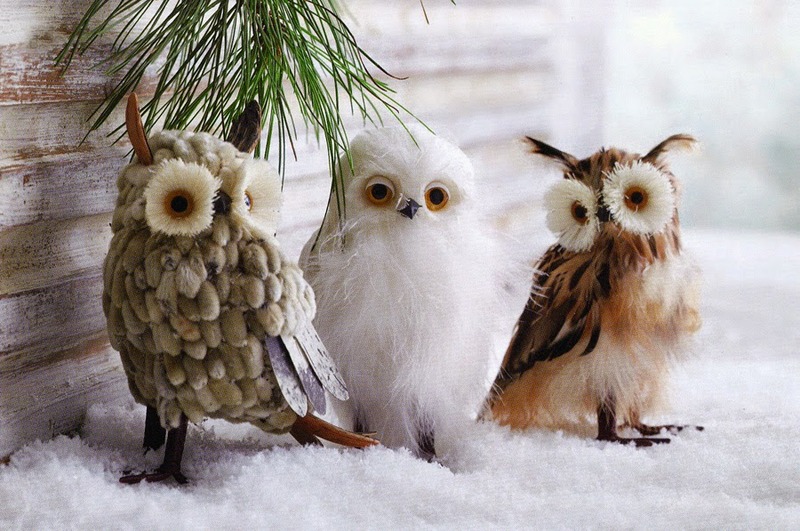 our wonderful winter owls christmas decorations will bring much delight to young and old. these beautiful and highly decorative wise owls are meticulously crafted from real feathers and botanical elements by master artisans and feature the most amazing accents. our beautiful wise wintery owls, with their adorable looks, will look right at home in your holiday decor. these special and delicately crafted feather ornaments add an elegant and festive touch to your interior. display the set of three on a mantel or tabletop as part of a nature-based centerpiece. wire talons hold them onto large branches. a nice set of heirloom quality ornaments sure to be enjoyed for many years to come. wise winter owls holiday decor ornaments set of 3. price is for the set of 3 (three) wintery owls as pictured. christmas and holiday decoration ideas collection.